A new report claims that Apple clung on to hope that it could retain Touch ID in the "iPhone 8," and any delays in shipping the new unit are apparently related to last-minute changes waiting on a breakthrough in the sensor being embedded in the screen. 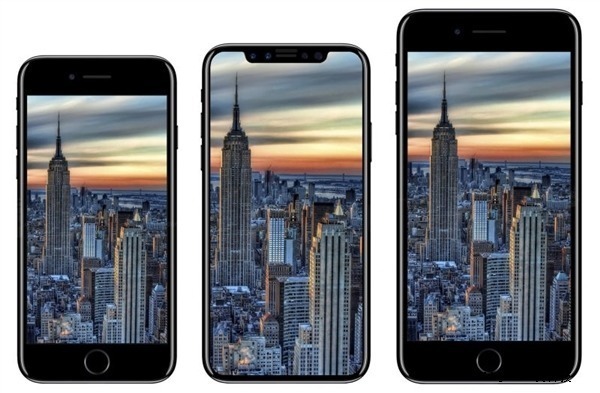 According to a summary of the OLED "iPhone 8" production by the Wall Street Journal on Thursday, Apple only gave up on the Touch ID technology in the new device as deadlines for a fall release approached. Compounding the problem, differences in production between OLED screens destined for Samsung's phones and the iPhone caused additional issues. According to sources familiar with the matter, the iPhone screen's assembly process requires "more steps and more layers of adhesive" than other phones, leading to more assembly error. While the report claims that a discrete touch layer in the OLED screen is the issue, a more likely candidate is the new 3D Touch layer that Samsung does not have. The Wall Street Journal expects the new high-end OLED phone to ship alongside the conventional LED models on September 22, and not in October, as a report earlier on Thursday suggested. This most recent report echoes one from Wednesday regarding OLED flagship availability. Apple is expected to announce the three new iPhones with the high-end OLED model, and two other LED-based devices at the company's Sept. 12 press event. A refresh of the Apple TV adding 4K video as a playback option, and an LTE-equipped Apple Watch are also expected.